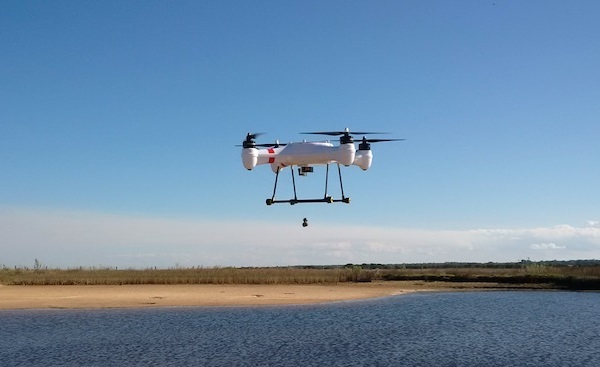 This site has been created for anyone interested in Drone Fishing. It all started with myself buying a basic drone, then discovering the laws regarding where you can fly it. So as an unlicensed recreational drone user living in suburbia, I couldn’t find many places to fly it. Then I came to the realisation that on the beach would be perfect. As a keen fisherman, I thought about a release mechanism to fly out the bait and tackle. I went to my local hobby shop to buy the mechanism and was unable to find anything suitable. As a trip to Fraser Island was coming up soon, I managed to bend some fish hooks, rig up a servo on a separate radio inside a small box and attached it to my drone. We tried it out and it worked brilliantly. The only problem with our first trip was that we kept getting snapped off. Even using 100Lb mono. My second trip was a day trip up to Noosa North Shore, Cooloola Coast. We drove for about 20 minutes up the beach and pulled up. The weather was a bit rough and it was raining. I changed my leader to 50Lb steel thread, and pulled in a Jew fish & 2 x Taylor. A few weeks later and a little bit of a redesign, I had come up with a simple mechanism that can attach to any Drone/Quadcopter. We found that a lot of the cheaper drones that came with their own pre-transmitter, had specific camera channel output to control a camera. With some help from Pico Technology, they have come up with a small circuit that can receive this output and change it to turn the servo to an on/off mode. Therefore removing the separate radio expense. A range of Drones/Quadcopter that we have tried and found suitable. Specific tackle suitable for Drone Fishing that you may not find in your local tackle shop. We’re also hosting a forum so everyone worldwide can talk about what tackle and rigs work for specific species, post pictures and videos, and learn more about fishing with a Drone. If you’d like to get involved, then Please contact us here. We’ll also share the latest technological fishing products that we find interesting and provide technical support material & manuals for our products. 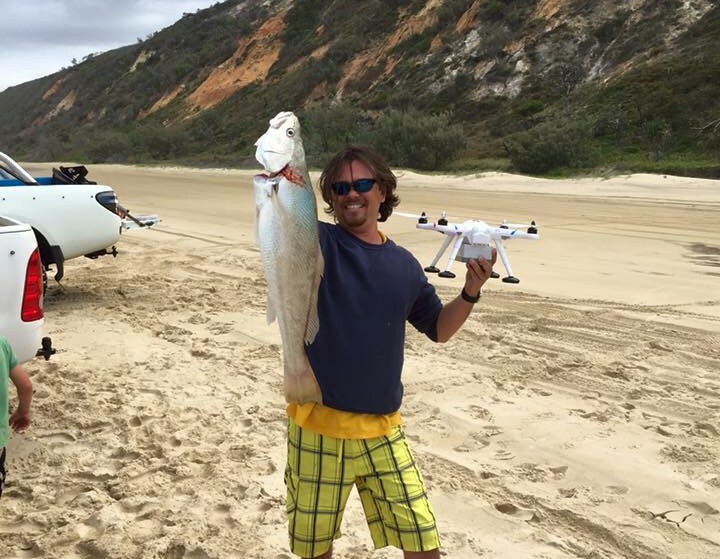 Happy drone fishing, can’t wait to see your next catch!